laura B. fit: Super SWEET CSN Stores Giveaway! Super SWEET CSN Stores Giveaway! I've seen them on other blogs, but it's kind of rad that I finally get to do one on my blog :) The grand prize? A $35 gift certificate to CSN Stores.com! After our move, we're in the process of finding some furniture to fill our empty house, and the CSN sister-store, Dining Rooms Direct, has some fabulous bistro sets and other furniture. 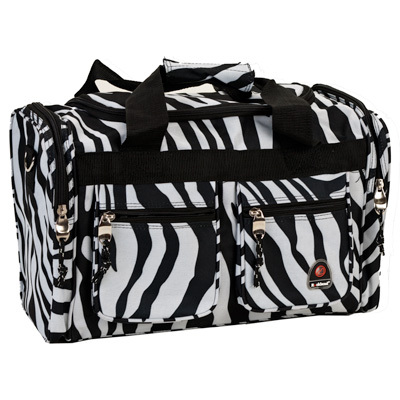 CSNstores, and it's 200+ sister websites (cookware.com, allmodern.com, and luxebycsn.com to name a few), carry pretty much ANYTHING and EVERYTHING under the sun--including some awesome health and fitness gear. Feet get sweaty during a yoga sesh? Try these Gaiam Yoga Socks ($7.98)! I hear they're fantastic for slippery feet. Remember my post on meditation? This Gaiam Meditation for Beginners DVD ($11.98) looks like an awesome intro to guided meditation. 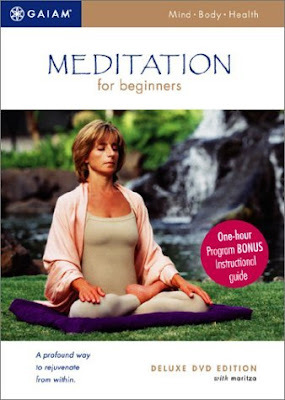 Packed with a 15-minute yoga session and TWO 20-minute guided meditation exercises, this DVD promises to "teach you to rejuvenate from within." Two words: Stress. Relief. In the midst of moving and all the other craziness in my life, my yoga mat was tortured, ripped and destroyed. 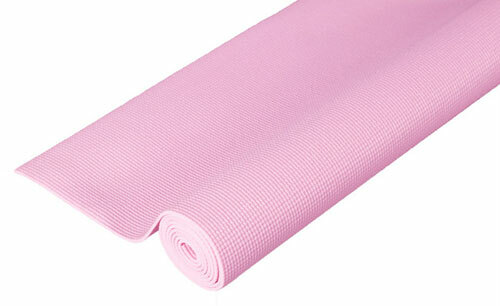 If I was going to replace it, I'd get this J Fit Premium Yoga Mat ($17.99), which is no-slip and PINK! If pink ain't your thang--no worries--there's all kinds of colors available! Obnoxious family and reality show aside, Kim Kardashian has a bangin' body! I'm a little skeptical of her "fitness instructor capabilities" and I haven't worked out to this Kim Kardashian Amazing Abs and Body DVD ($15.99) yet, but I've seen good reviews for it. If it can give me that Kim K. a**, I'll try anything once. 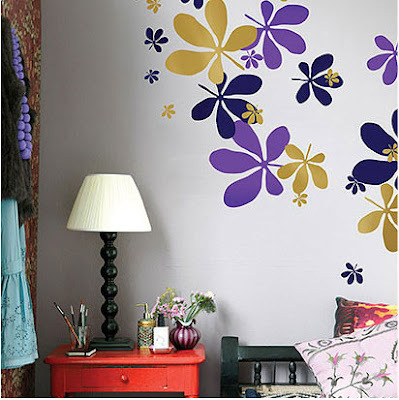 Wall decals rock for three reasons: 1. They're temporary. When you get tired of them, you change them out. 2. They're bold and modern. 3. They're easy to apply and remove. These ferm LIVING Flora Wall Stickers ($59.95) are packed with colors that are just right for fall decor. This Tervis Girl Skull and Crossbones 16oz Tumbler ($20.70) is the perfect alternative to the ubiquitous aluminum water bottle. 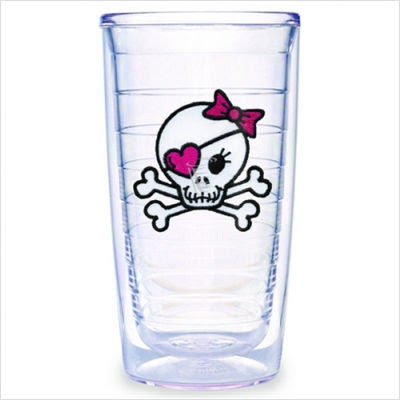 Tervis tumblers keep hot drinks hotter and cold drinks colder. They're safe for the microwave, dishwasher and freezer and you can even buy a lid so you can take your tumbler on the go. Alright, now let's get down to the nitty gritty--How do you enter this giveaway? Unlike some other blog giveaways I've encountered, I'm not going to make you hopscotch backwards for an hour, friend and follow me on every single social networking site, find Where's Waldo, then publicly dedicate your undying allegiance to this blog. All you have to do is check out the CSN Stores website and tell me in a comment what you would buy with a $35 gift card (It doesn't have to be fitness-related!). A winner will be chosen via a random number generator on Sunday, September 19th at 5pm. So ENTER RIGHT NOW!!!! I need a new office chair in my home office and the Office Star Work Smart Task Chair with Screen Back looks like it might just fit the bill. I would love to get the Paula Deen 11" Square Griddle in red! Girl, that site is freaking insane. There are so many things I just NEED ;-) Actually, I would totally buy a hand blender b/c I make a ton of soups in the fall/winter. I'm quite tired of making a huge mess transferring to the blender then back to the pot. And I am so with you on jumping a thousand hoops to enter a giveaway. Thanks you for being considerate friend. I would get the Ravenscroft Crystal Burgundy wine glasses. Pro Form Abs Core Bench!! I'd start stocking up on early childhood school supplies, like dry-erase sentence strips and a pocket chart! I haven't read anything good about the Kim Kardashian workout - please let us know what you think about it! I would get a new pillow.